The Daily Telegraph breached standards code provisions protecting children when it published a picture of a couple’s daughter with a story about how the family was shot at in Rio de Janeiro after wandering into a slum. 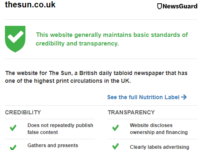 The Independent Press Standards Organisation ordered the newspaper to publish a correction, which it had offered, as well as an adjudication, the terms of which it specified. 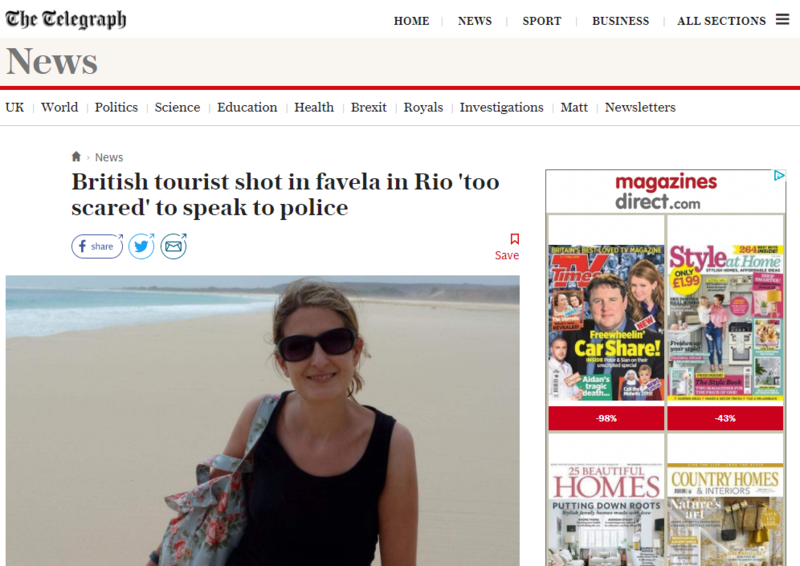 The regulator upheld a complaint by Eloise Dixon that the newspaper breached Clause 6 (children) of the Editors’ Code of Practice with an article headlined: “British tourist shot in favela in Rio ‘too scared’ to speak to police” that was published on August 9 last year. Dixon said the newspaper published the image of her child without her face blurred and without consent, adding that her daughter had been disturbed by publication of the photograph, which she considered to be private. 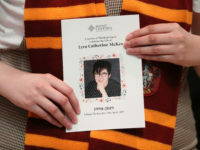 The newspaper argued that the photograph was taken ten years ago, so it did not consider that the child, who was not named in the article, would be easily recognisable from the image. It also noted that the image was publicly available on Dixon’s public Facebook page. It added there was also a public interest in publishing the photograph as it helped to bring home to readers the gravity of the situation in which children had been involved. IPSO’s Complaints Committee said the article clearly reported on a subject which involved the child’s welfare: she had been involved in a shooting and had witnessed her mother being shot and seriously injured. The unpixelated photograph of the child showed her full face. Although the image of the child was taken ten years ago, IPSO found this did not justify the newspaper’s decision to publish it unpixelated in the context of this article as the child was still under 16 at the time of publication. Publishing the unedited image in the context of this story, without the consent of a parent or a similarly responsible adult, represented a breach of the code, the committee said. There was no specific public interest in publishing this image, particularly as an exceptional public interest justification was required in the case of a child. 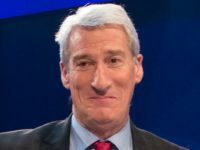 On complaints about privacy, the committee said the fact that Dixon had three children who were also involved in the incident was relevant information – the articles had given their ages, but not named them. The fact that their friends were informed of what had happened did not represent an intrusion into their time at school. The images taken from Dixon’s social media account were publicly available. 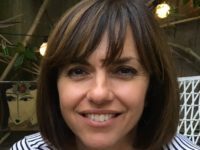 They showed Dixon’s face, but she was not shown engaging in a private activity and their publication had not disclosed private information about her. The newspaper was entitled to rely on information from police and the hospital in reporting the attack – and had amended its online articles and offered a correction when it became clear that some of this detail had been incorrect. Thanks for this impressive article here on our website you will get the tutorial by which you will learn to use rdp connection in windows 10 operating system by getting help support from our tutorial. The amendment specifically – in its wording – excludes all those regional or local publishers with an annual turnover of less than £100million, so the whole premise of the article and George Osborne’s comment is wrong. But press executives are rarely accurate about their own business.